Characterful wines that reflect the enthusiasm that goes into making them, the Lastours wines are produced according to wine making traditions. 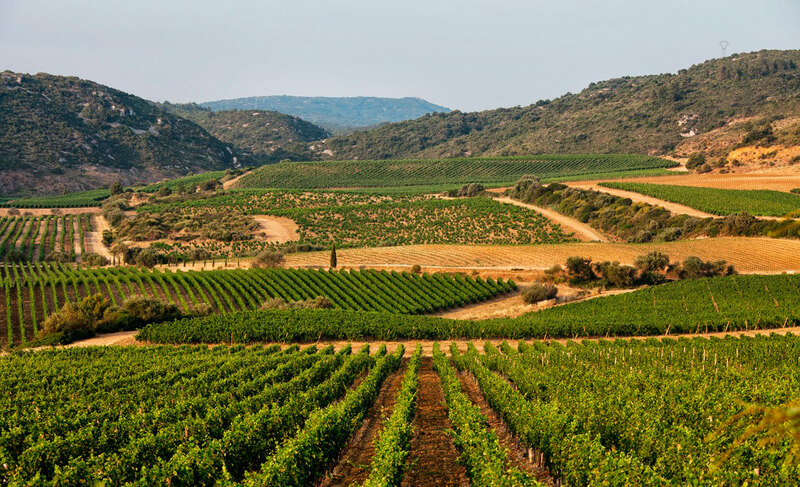 The care, the climate, the environment, the respect and the technical knowledge at Château Lastours makes for structured, surprising wines with a touch of finesse. La Grande Réserve is the excellence of any vintage. It is the result of an extremely strict selection of the best grapes from the most mature vines. This wine’s strong colour and powerful nose is the perfect combination of woody notes and Mediterranean fragrances (olives, dark berries, spices). Its fine tannins and full character make it a very racy wine. Carignan, Syrah, Grenache. From the oldest vines on this estate, which are between 30 and 40 years old. The grapes are harvested when they are fully mature. 75% of the “Réserve” is aged in French oak casks for a year and the other 25% in stainless steel vats. The wine is then matured in the bottle for a year before going to market. Although this wine can be kept for up to ten years, you will appreciate its fine tannins if you open it straight away. This wine prefers dishes with plenty of character: beef marinated in wine, duck magret, steak with pepper sauce, blue cheeses. Simone Descamps spent much of her lifetime helping handicapped people in the centre that was once located on the estate and she bequeathed her fortune to the cause. This cuvée is a tribute to her. A cuvée with a deep colour that expresses much maturity: it exudes aromas of licorice, dark berry juice and violets. The well-balanced velvety character develops on the palate with a hint of vanilla. The elegance of this wine is the quintessence of Lastours. Carignan, Syrah, Grenache. The vines are between 10 and 20 years old. 50% in oak casks (12 months) and 50% in stainless steel vats (6 months). This process preserves the fruity taste and gives a pleasant acidity. This wine is the perfect companion for flavorful dishes: lasagne, stuffed tomatoes, roast beef, roast pork, roast chicken and dishes with sauces. Hard cheeses are a great match too. This is the oldest, most famous cuvée of Château de Lastours. The Simone Descamps vintage has two stars in the Hachette wine guide and three stars in the English magazine Decanter. Arnaud de Berre is the name of a knight who lived on the Lastours estate in the Middle Ages. The river that crosses the estate is named after him. Synonymous with pleasure, this wine is a ruby red colour with hints of violet. It has a beautifully intense nose and develops a very flattering fruitiness. On the palate it is candid, fruity and Mediterranean. Carignan, Syrah, Grenache. The vines are between 5 and 15 years of age. Aged in stainless steel vats for 12 months to preserve the fruit. The ideal partner for this cuvée is simple Mediterranean cuisine with olive oil: mushroom pasta, parmesan, olives, bacon, goats’ cheese. This wine also goes well with cold cuts or grilled meat with potatoes and vegetables. This wine has a shiny salmon colour and a fine aroma of white flowers, vine peaches and mango. The elegant length on the palate reveals a balanced, smooth character. Syrah, Cinsault, Grenache. The vines are between 5 and 15 years of age. The grapes are harvested at the right maturity for rosé and pressed immediately. Aged on lees for 3 months. Perfect for summer evenings with friends, this wine is a perfect match for grilled meats, mixed salads, cold cuts and olives. This rosé will also add sunshine to unpretentious dishes all year round.